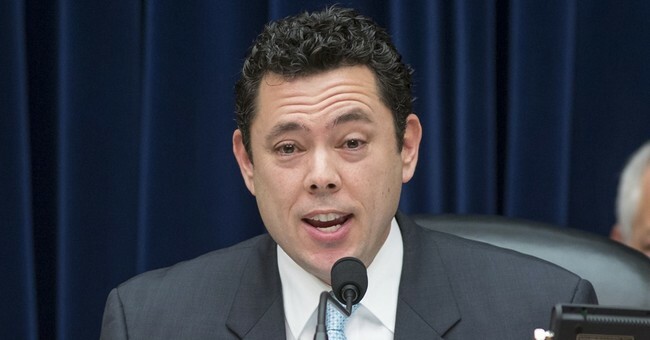 Rep. Jason Chaffetz, R-Utah, is on his way out as chairman of the House Committee on Oversight and Government Reform. But the work he has begun on Postal Service reform will go on. The Postal Reform Act of 2017, which Rep. Chaffetz shepherded to approval in his committee in March, now has 16 cosponsors – seven Republicans and nine Democrats. The cosponsors have asked the Congressional Budget Office to score the legislation, so it can be prepared for consideration by the House Ways & Means Committee. The score did find some features of the bill would achieve “savings,” but for the most part, money-wise, it will be about the enormous costs related to the Postal Service’s massive unfunded liabilities in its pension and retiree health care funds. In part, the bill will address through an increase in on-budget direct spending of about $10.7 billion through a provision that would require postal retirees to enroll in Medicare Parts A (hospital) and B (physician). But it also includes a provision – less discussed – to bail out the Postal Service with a massive federal handout that would virtually eliminate nearly $50 billion in shortfalls in pension and retiree health benefits obligations the Postal Service owes. Similar legislation has been introduced in each of the last two Congresses but has not moved forward. This time, it's bipartisan cosponsors say they have a better chance at passage. The last major postal reform legislation to become law, the Postal Accountability and Enhancement Act, signed by President George W. Bush in December 2006, gave Postal Service leaders real control over the fate of the Postal Service and empowered them to set up the enormously costly pension and retiree health insurance program they desired. USPS leadership at that time declared the system to pre-fund retiree health benefits “a farsighted and responsible action that ... augurs well for our long-term financial stability upon successful completion of the payments." Despite such a positive outlook, the Postal Service has not made a payment towards these benefits since 2011, and its unfunded liabilities now total $121 billion, which includes a $15 billion line of credit from the Treasury Department it has used up. Beyond the pension problem and despite all its advantages – monopoly protection of last-mile delivery of first-class mail; exemption from property, vehicle and gas taxes; economies of scale; the ability to use resources for its constitutionally defined monopoly sectors to make its profit-seeking ventures appear profitable, etc. – the Postal Service has become a financial basket case. The Postal Service has not balanced its books in 11 years. It lost $562 million in the second quarter of this year and figures to lose about $2.5 billion this year, which would bring the losses over the last decade to more than $60 billion. The Postal Service continues to post high profit margins on traditional core mail service – such as first-class and standard letter mail and other last-mile services. But those who depend on the mail have suffered as the Postal Service has sacrificed delivery times and quality service to pursue less-profitable industries, such as small packages. Most agree massive structural changes to the Postal Services are needed. But is absolving the Postal Service of nearly $50 billion in obligations and forcing its retirees into an already-ailing government insurance program really the answer? The National Active and Retired Employees Association, whose 76,000 postal retirees would be forced to transition into Medicare say no. They say it will force their members to pay premiums $1,600 per year or more higher than they currently pay for insurance they neither want nor need. And shifting these massive liabilities to the U.S. Treasury is certainly not something we need to do now, particularly with the Postal Service’s finances in such poor shape overall and the country $19 trillion in debt. The Postal Service wanted independence to make its own choices on business pursuits, marketing initiatives and how it compensated its employees. It needs to reckon with the consequences of those choices, not offload them onto taxpayers. Besides, Medicare already is in fiscal distress as the Medicare Hospital Insurance Trust Fund is projected to begin spending more money than it takes in, starting in 2028. It’s not clear whether this effort at postal reform has any better chance than the previous attempts. What is clear is the Postal Service is supposed to operate without its pension system backstopped by the taxpayers. That concept already is in danger. The time to stop it from eroding further is now.